I’ve been hyped as hell ever since I found out that Neill Blomkamp was doing a RoboCop project, titled RoboCop Returns. The more I’ve learned, the more excited I’ve gotten, too. 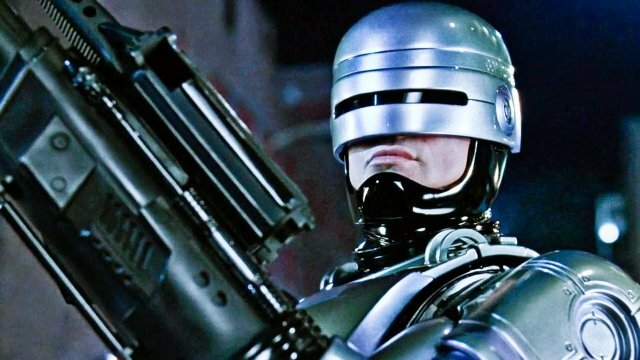 Apparently, Blomkamp’s plans are to make an immediate sequel to the 1987 classic, ignoring the bizarre but not great RoboCop 2 and the just-plain-awful RoboCop 3 to do a Halloween style reboot of the franchise. Aside from that, it was also reported that the director’s first choice to play the lead was Peter Weller, who made the role iconic with his performance more than thirty years ago. Though Weller might now be 71, he’s still looking pretty damn good for his age. Plus, the nature of the part means that you really only need to see his lower face, with the rest of his body concealed by the cyborg armor of the character. Even if they were to play him as an old man, the idea of seeing how Officer Murphy handled aging as RoboCop – and what he’d be like after so long melded with a corporate robot suit – sounds like it’d be a great story. But sadly, it sounds like it’s not to be. Super Bro Movies got in touch with Weller’s representatives this week, who confirmed that the actor currently has no interest in returning to the role. That may be because he doesn’t do so much acting anymore, instead teaching Literature and Fine Arts at Syracuse University in New York where he’s popularly known among students as Professor RoboCop. That said, he does do the occasional bit of screen work, popping on various TV shows and in Star Trek Into Darkness (he was also an excellent Batman in the animated adaptation of The Dark Knight Returns). So, who knows? While he’s not interested right now in returning to the role that made him famous, perhaps a genuinely interesting script and some kind words might make the actor reconsider. I’m down for a Blomkamp take on RoboCop no matter who’s playing him (hell, I was a big fan of Chappie), but Weller’s involvement would no doubt propel my hype levels into the stratosphere.